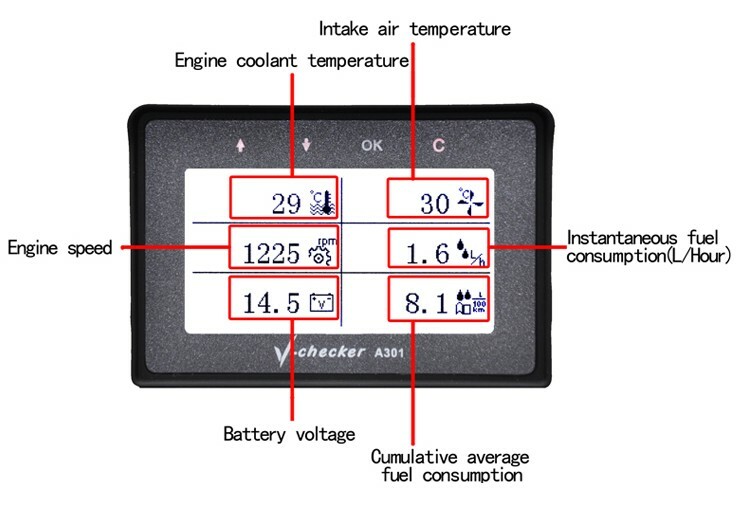 A: The trip computer A301’s water temperature alarm default setting value is 100 灞? thetemperature of the different models are different settings. 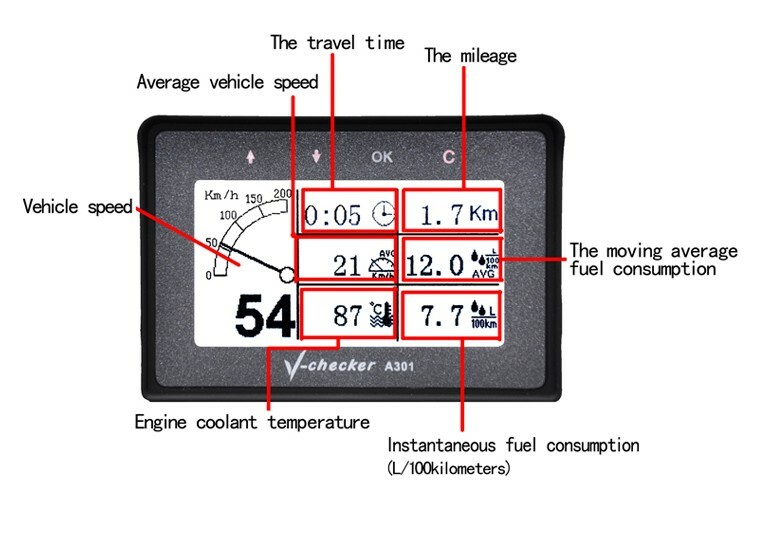 Generally the car has a low speed fan and a high-speed fan, when the temperature reaches a dangerous range; high-speed electronic fan will open to effectively reduce the temperature of coolant. It is very dangerous if the high speed fan cannot start in time. You can check the starting temperature of the fan and set the water temperature to the specified value.